In this post, we list the honors programs that have the most value-added impact on the universities of which they are a part and that are also on the Kiplinger list of the 100 “Best Values in Public Colleges” report of 2012. We estimate the honors impact by comparing the U.S. News ranking of each university as a whole with the ranking of the honors program in the category of Overall Excellence. If our ranking places an honors program or college higher than the national ranking of the university as a whole, then the honors program provides value added. For example, if University A honors college ranks 24th in our evaluation of 50 programs and colleges, and the university as a whole ranks 34th among the 50 universities we considered in the U.S. News rankings, then University A’s honors college has significant value added. The value-added programs that we will cover in this series are those at South Carolina, Arizona, Arkansas, Georgia, Michigan State, Delaware, Stony Brook, Minnesota, Missouri, Oregon, Nebraska, and Indiana. 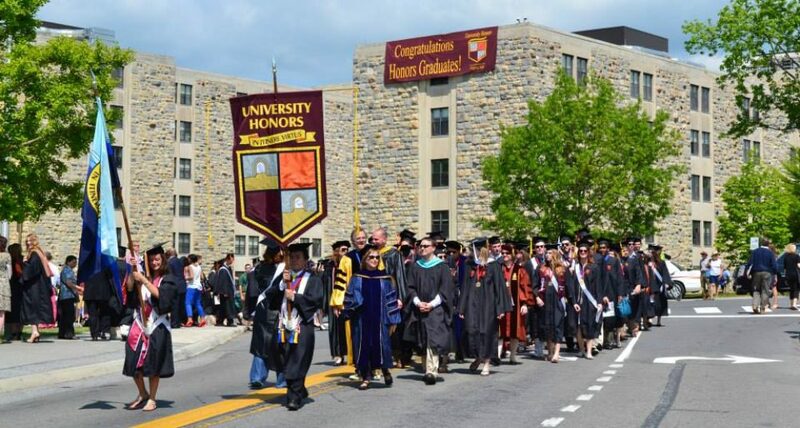 Since all of these universities are also included among the top 100 best values in the annual Kiplinger report, this means that the honors programs at these schools are a “value-added to the value-added” because the honors programs significantly enhance the value that already exists in the universities as a whole. The annual Kiplinger special report is a well-known and probably influential publication. The report presents a cost/value analysis, comparing the academic reputation of selected public universities to the total net costs of attending, using both in-state and out-of-state tuition as benchmarks. Kiplinger begins with 500 public colleges and universities, eventually honoring the top 100 as best values. Kiplinger does not directly consider the value added by public honors programs, although it is certain that part of every university’s academic excellence is related to its honors students and their accomplishments. Below is the name of the university, its Kiplinger best value rankings for in-state and out-of-state tuition, and its honors program impact rank among the 50 leading state universities we reviewed. The lower the number in honors impact, the greater the value-added factor of the honors program. In-state tuition (57); out-of-state tuition (67); honors impact rank (2). In-state tuition (99); out-of-state tuition (100); honors impact rank (3). In-state tuition (53); out-of state tuition (56); honors impact rank (3). In-state tuition (6); out-of-state tuition (9); honors impact rank (7). In-state tuition (49); out-of-state tuition (61); honors impact rank (7). In-state tuition (25); out-of-state tuition (23); honors impact rank (10). In-state tuition (54); out-of-state tuition (20); honors impact rank (11). In-state tuition (79); out-of-state tuition (80); honors impact rank (12). In-state tuition (97); out-of-state tuition (98); honors impact rank (12). In-state tuition (68); out-of-state tuition (82); honors impact rank (14). In-state tuition (40); out-of-state tuition (65); honors impact rank (15).